On Tuesday, as rumors were spreading about YouTube's plans to launch a paywall we reminded folks that Google had actually tried this twice before and no one paid. On Thursday, the folks at HuffPost Live had me join a video panel discussing this. What we didn't realize was at the very moment we were talking about it, YouTube had officially launched the program. You can see the discussion below, where I play the role of the lone dissenter who argues that this is a dumb idea: What annoys me about this is that everyone else was making the same silly arguments that were debunked over and over again on the newspaper side -- that paywalls lead to a higher quality product and more investment into the content. That's not true if no one pays. It's a pretty simple equation: if you, say, get 10 subscribers for $2/month, that's $20/month. That's not that much money. If you can make more than that in advertising, then you're better off advertising. Yet, time and time again in the video above you see people claim that it's somehow automatic that putting up a paywall will mean "more money" and "the end of free content" or "profits so that more investment can happen in video." All of that makes a huge assumption: that enough people will actually subscribe. Yet there's simply no basis for it, and yet people kept claiming it over and over again as if it had to be true. But we know it's not necessarily true, because we've already seen Google try exactly the same thing. 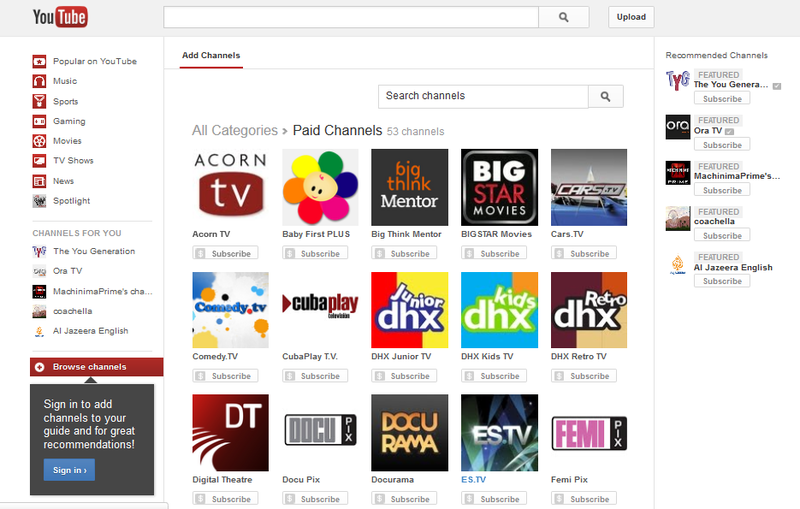 Hell, let's take a look at the original Google Video, launched about six years ago, with a similar subscription offering: And now let's look at the new YouTube pay channels: It's basically the same thing, though, I'd argue that the original Google Video had even more brand name content. 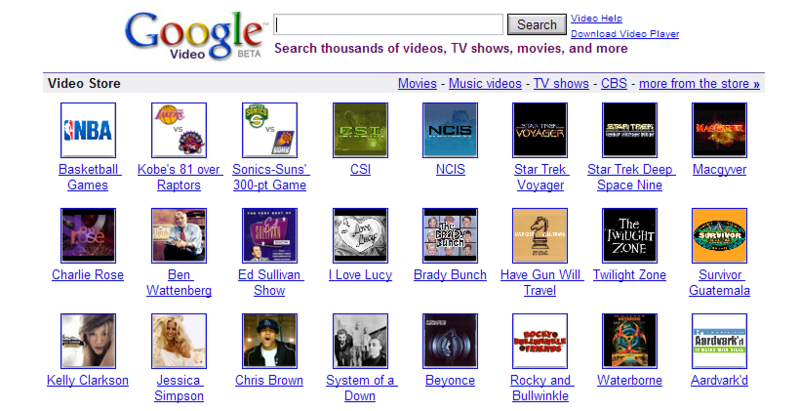 In 2010, when Google tried the exact same thing with YouTube, over the course of 10 days, they only got $10,000. I'm not against experimenting. And I'm not against models where people pay -- I think things like Netflix and Spotify and the like are really interesting business models. But, those work because of different factors: mainly a combination of convenience and a ton of content all together. People are paying for those because of the completeness of the offering. Here, people are being asked to spend between $1 and $10 per month for a single channel of content. It may work for a few specialized shows: Game of Thrones? Yeah, sure. But not many others. This idea that people paying directly is the only "real" business model is just silly. The guy who did a video comment during the panel discussion who seemed to argue that this was necessary because it's "capitalism" doesn't understand economics. A bad business model is a bad business model. As a "paywall", I agree, these subscription channels are doomed. But they don't have to be a paywall. Instead, you could have something like "Geek and Sundry Insider" that gives you early access to content, back-stage and/or making of, etc. to dedicated followers of the FREE channel who would like to show their support and get a little something more. I pay $5/mo for one "channel" of content here, so I don't see how paying $2/mo for additional access to a great YouTube channel is that far fetched. Paywalls do little to stop people from getting what they want without paying, are easy to walk around with the use of proxies, waste everybody's time and effort, and are fundamentally futile and self-ridiculing. In fact, they are just about as useful as the U.S.'s Mexican border fence.